The International Labor Organization is the latest global body to warn about the ongoing global economic crisis. According to the most recent report from the ILO, the global economy is about to tip into what it calls a “a new and deeper jobs recession.” Given that advanced economies already are experiencing levels of unemployment and underemployment rivaling the Great Depression of the 1930s, it is not surprising that the ILO believes that the next phase of the jobs crisis will lead to a sharply elevated risk of social unrest. 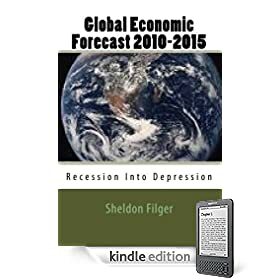 As fiscal austerity becomes the preferred policy response in advanced economies to the ongoing global economic crisis and its related sovereign debt crisis, even higher levels of unemployment are unavoidable. The current spread of the Occupy Wall Street movement to many other cities across the world points to the validity of the ILO’s warning about spreading social unrest. Eurozone Debt Crisis: Another Failed Bailout Scheme? Once again, as they have already done countless times before since the emergence of the European sovereign debt crisis, the 27 political head honchos of the European Union have once again boasted that they have saved the global economy from collapse with finally, the real definitive cure for the crisis. However, the only thing really distinct with this latest version of the EU cure is that the numbers are much larger. The politicos claim that they have received agreement from impacted banks to write off 50 percent of the value of outstanding loans to Greece. Banks in turn will receive recapitalization from the EU. And perhaps most striking in terms of attempting to win investor confidence, the value of the EFSF, or Eurozone bailout fund, will expand from just over $400 billion to around $ 1.4 trillion. No wonder the European politicians are patting themselves on the back, while predictably stock exchanges across the globe are rallying to new, dizzying heights. So, should we believe that this time, after so many failed attempts also advertised as the real solution, the politicians have finally got it right? I don’t think so. The massive write-down of Greek debt will jeopardize the financial solvency of many European banks, requiring massive recapitalization. That is supposedly why the European Financial Stability Facility is being expanded to a level of one trillion euros. But where will the Europeans get this money? From the same banks they will need to bail out? From investors already spooked by a 50 percent write-down on Greek debt? From China? From already over-leveraged German taxpayers? In the meantime, the other PIIGS nations are on the brink of insolvency (Portugal, Italy, Ireland and Spain), not to mention fragile eastern European economies, which nobody in the EU will even discuss. No wonder the agreement announced in Brussels is lacking in specific details. Nouriel Roubini tweeted this morning, “Little in EZ plan to restore growth/competitiveness. Without it financial schemes (greek haircut, bank recap, levered EFSF) alone will fail.” Professor Roubini has had a far more reliable track record in predicting the trajectory of the global economic crisis then all the 27 EU political leaders and their army of economic and financial advisors combined. The fact that Nouriel Roubini is already predicting that the EU’s latest bailout plan will fail is far more significant, in my view, then all the stock market rallies being fed by the latest self-congratulatory propaganda coming out of Brussels. Over the weekend the highest ranking cadre of inept European Union politicians were gathered in solemn deliberations, as they once again promise the world that the growing sovereign debt crisis in the Eurozone will be permanently “solved.” But the issue is no longer only the debt crisis in Greece, or the other PIIGS countries-Portugal, Italy , Ireland and Spain. The unsustainability of the public debts throughout the Eurozone now have the banking system of Europe on the precipice of disaster. It is likely that many if not most major European banks would fail a real stress tests, not the phony stress tests recently administered. One of the issues being debated by the European politicians is having the banks accept some degree of loss on their outstanding loans to Greece. The problem is that such a loss would mean transferring the insolvency of Greece to those very banks. The politicians in Europe know that, so they are already discussing how to recapitalize their banks. But with what? The European nations are themselves all heavily indebted. Germany is resisting the call by France to employ the ECB (European Central Bank) as a printing machine to “lend” euros conjured out of thin air to the European Financial Stability Facility; the EFFS would in turn provide the money to the banks requiring recapitalizing. While the frenzied talk rages on in Europe, the continent’s banking system is headed for a crisis that may rival the impact that the Lehman Brothers debacle had on the global economy in 2008. Spain’s Credit Rating Continues To Plummet; Is France Next? In an earlier blog piece, I reported on the fact that ratings agency Fitch had dumped Madrid’s credit rating. Standard & Poor’s had also cut the Spanish government debt rating. Now Moody’s, the other major credit ratings agency, has joined the parade by dropping Spain’s rating by two notches. Furthermore, Moody’s added that France, currently with a AAA rating, faces acute danger that its rating may be dropped in the future. The Eurozone debt crisis is clearly not being alleviated by the desperate machinations of the bumbling politicians. The crisis is getting worse, it is spreading, and along with that somber reality goes a rising tide of public anger and protest. The sovereign debt crisis is currently impacting Europe with dire consequences for the entire global economy. The architects of globalization never imagined this scenario. A Wall Street banking crisis in the United States creates a global financial crisis, compelling sovereigns across the world to enact a peculiar and paradoxical policy measure; preserve profligate historical profits of masters of the private banking system, while socializing their losses. This policy of saving the banks by moving their losses onto the balance sheets of nation-states creates a global banking crisis, especially in the Eurozone, due to those banks holding loans from countries that went into deep debt to bail out those same banks. Ireland, to take an example, went from budget surplus to catastrophic fiscal deficits solely due to a decision by Dublin’s politicians to guarantee all the liabilities of their formerly privately-owned and relatively unregulated banks. The latest policy measure is austerity, forcing the taxpayers to cover the costs of the mounting global economic crisis with higher taxes and cutbacks in social services. The paradox is that these measures negate economic growth, ensuring that the public debt cannot be repaid. All these measures are exacerbating the current and worsening global economic crisis. The Occupy Wall Street movement, which has now gone global with a rising tide of protests throughout the world, reflects a populace that has seen its economic future being dispossessed. Deprived of hope, and with no confidence in the policymakers in government and oligarchs that largely fund and control political parties in most advanced economies, a growing number of desperate people, especially the younger and emerging generation, see protest as their only option. All these developments feed into each other, leading to a cascading effect of political instability, growing public indebtedness and economic stagnation and contraction. If nothing else, the anti-Wall Street protests are a barometer of an economic and political system in disarray. And perhaps, they are a harbinger of a new age of political unrest and economic misery of prolonged duration. The politicians are at it again; another insolvent bank is “rescued,” courtesy of the already indebted European taxpayers. This time it is Dexia that has been deemed “too big to fail.” The component of the bank that conducts retail transactions in Belgium will be nationalized, with a payment from public funds of 4 billion euros to the parent. Furthermore, Dexia will receive a 90 billion euro guarantee from the European politicians as a backstop against any further liquidity problems. More bailouts for insolvent banks, and from French president Sarkozy and German chancellor Merkel more assurances that the “brilliant” eurozone politicians won’t let Greece go under, or the European monetary union, for that matter. Of course, Dexia is not the only European bank in deep distress. That is what the Greek debt crisis is really all about; how to avoid an implosion of much of Europe’s banking system due to bad Greek debt corroding the balance sheets of the continent’s banks. Stay tuned; more examples of incompetent European politicians charging to the rescue are on the way. More developments on the Eurozone sovereign debt credit ratings front. Fitch, one of the big three credit ratings agencies, lowered its rating on Spanish government debt by two notches, from AA plus to AA minus. As recently as 2010, Fitch rating Madrid’s debt at AAA. This credit rating cut follows on the heels of the decision by Moody’s to drop Italy’s credit rating two levels. With the sovereign debt crisis in Europe cascading out of control, and a severe Eurozone banking crisis now developing, one has to be obtuse to believe that the global financial and economic crisis that began in 2008 has been “resolved.” Sovereign credit ratings are dropping with monotonous regularity, and a growing cadre of economists are suggesting that the Eurozone, U.K. and U.S. are already in the midst of a double-dip recession. With negative economic growth and growing public debt to GDP ratios, how are these nations going to resolve their sovereign debt crisis? As the Eurozone sovereign debt crisis worsens (joined by the U.S.A. and U.K.), the ratings agencies are at it again, with their lagging indicator of choice; the credit worthiness downgrade. This time, Italy got hammered. Moody’s cut the Italian credit rating by three levels, from A2 to Aa2. That is a lower rating than Moody’s rates the credit worthiness of the Baltic republic of Estonia. The downgrade of Italy’s public debt will translate into widening spreads on Rome’s government bonds, making it even harder to service the multi-trillion dollar public debt accumulated by successive Italian governments. This all happens as the inept European politicians still clamor over another ill-fated effort to “ring-fence” the Greek debt crisis, pretending that is has not yet spread to other PIIGS countries, including Italy. The Moody’s downgrade is more concrete evidence that policymakers in Europe are totally disconnected from economic, financial and fiscal reality. Standard & Poor’s Has Lowered Greece’s Government Debt to Junk Bond Status!